Galaxy is often described as having a passion fruity character along with aromas and flavors of clean citrus and peach. It may also carry threads of pineapple and tropical fruit. In short, its characteristics are all fruit with no floral, pine, or spice. 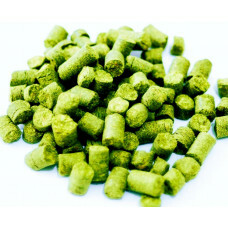 Flavour and Aroma are very intense, a perfect hop for tropical fruit forward pale ales, perfect hop for a NEIPA. Alpha acids 11 - 16%. Typical total oils (ml per 100g) 3.0 - 5.0, which is the highest known.